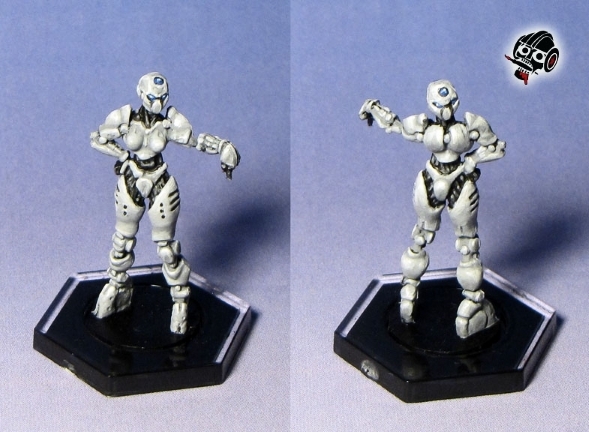 Every Dreadball game needs a RefBot. This is a really fun and flavourful figure. I really like that it has a face on bother sides of its head! It was tough to paint and tougher to photograph, but it turned out pretty well.